Beck Feiner is an art director, graphic designer and illustrator. Her first book, Aussie Legends Alphabet, was released in 2017. 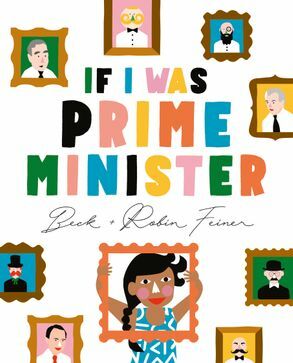 Her second book, If I Was Prime Minister, created with her husband Robin, was released in 2018. Beck lives in Sydney with her family. Robin Feiner is a lover of communication with originality and craft. As an advertising creative, he's written campaigns that Australians talk about. Now, with two young children, Robin writes books that he thinks they would love.